At Reliance Consulting, LLC, we can handle the day-to-day finances of your veterinary practice. By outsourcing your bookkeeping, controller, and CFO services, you can reduce your own stress, as well as your risk of serious financial error. In addition, you can save your practice a significant amount of money, since outsourced services cost far less than a full-time office employee. We use QuickBooks to perform a full range of bookkeeping services, including maintaining your ledger, reconciling bank statements, paying employees, and paying bills. Thanks to our team approach, we will keep you informed about every aspect of your finances and any concerns that may arise in the future. Our CPAs can also prepare financial statements that are vital for business management. These documents include income statements, statements of retained earnings, balance sheets, and statements of cash flow. With accurate financial statements, you will have a solid economic foundation for your practice. Along with basic accounting, taxes can be a huge concern when you own your own veterinary practice. We can help you prepare and file your taxes, including income tax, property tax, payroll, and more. In addition, our long-term tax planning can help you minimize your tax liability and avoid errors on your returns. We can often identify deductions or tax credits that you may be missing. We can also help you choose a new business entity structure or incorporate your practice to enjoy greater tax benefits. Our services can keep your tax documents accurate so that you will not have to worry about problems with the IRS. However, if you are already dealing with IRS difficulties, we can help you over this hurdle. Whether you are facing a bank levy, property lien, or overdue taxes, we can often help you negotiate an offer in compromise. Our CPAs can also prepare records and guide you through an audit. Our assistance can often minimize or even eliminate the penalties imposed by the IRS. With our accurate record keeping and tax services, we can guide you as you strategize for the long-term financial stability of your veterinary practice. Our budgets and financial projections will provide a good estimate of how much cash you will have on hand at any given time. With these documents, you can make informed decisions about investments, billing cycles, and related matters. You will also have a better idea about credit and your ability to take out a loan. If you decide that it is a good time to invest in your practice, our loan assistance can help you obtain credit. . After we gather and check all your financial documents, it will be easier to earn credit approval. Finally, we can help you arrange for the distant future of your practice. Our succession planning services will keep your clinic in top condition so you can sell or pass it down when you are ready to retire. 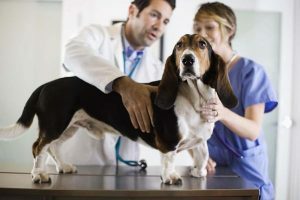 We are very familiar with the needs of small business owners and the particular concerns of veterinarians. Thanks to our expertise, we help you ensure your practice success. We are equally adept at helping new practice owners and seasoned veterans. One of our most important services is business plan development, and it is especially important for new veterinary clinics. We can help you create solid and specific goals that will guide you in the future. Your business plan will also help you obtain financing so you can grow. Our consultants can assist you as you decide the right times and ways in which you should expand. For example, we can create a buying vs. leasing analysis. We can also help you make important decisions about purchasing a practice or hiring new associates. If you are unsatisfied with the growth of your practice, our benchmarking services can help you set and achieve new goals. At Reliance Consulting, we are committed to your progress. We will establish a long-lasting relationship with you, so you can always come to us for guidance and advice.